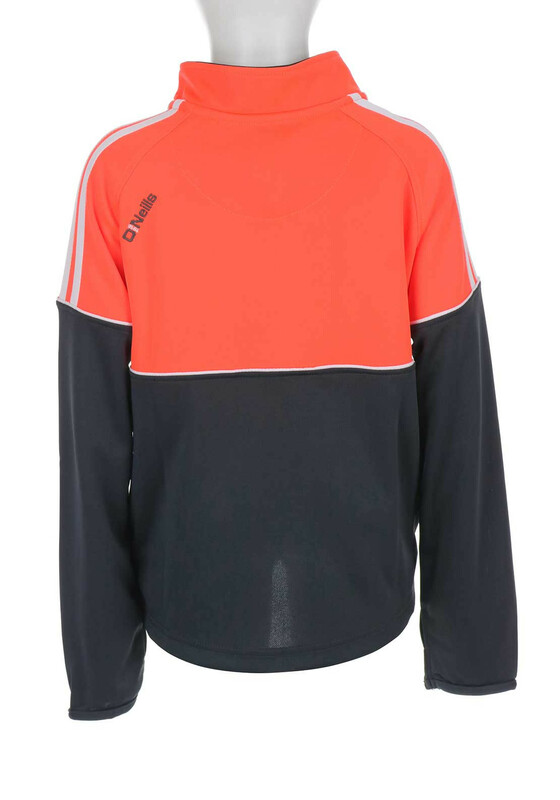 The Cuba squad top from O’Neill’s is perfect for those long dark evening training on the pitch. 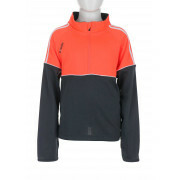 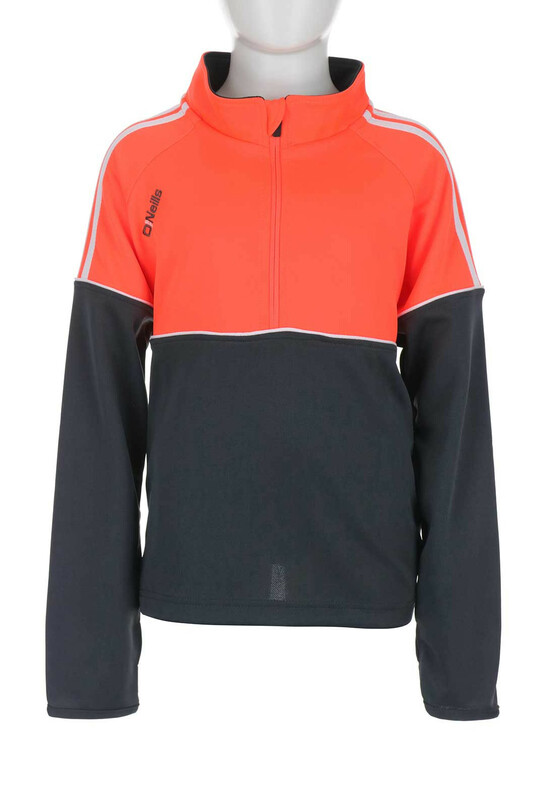 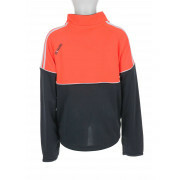 In stylish florescent orange and grey, it has the classic stripes on the shoulders, O’Neill’s embroidered on the front and back and a short zip fastening with a stand up collar. 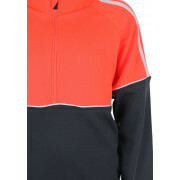 Made with breathable Koolite fabric which will leave the wearer cool, dry and comfortable by wicking away sweat for evaporation. 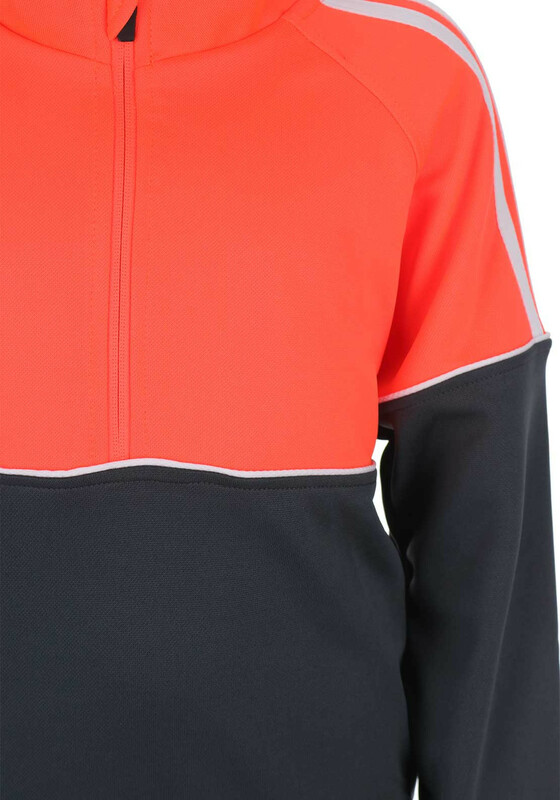 Side pockets and an adjustable trim completes the look.